Following the success of the BlackBerry Priv, the first Android smartphone manufactured by BlackBerry, CEO John Chen has announced that they plan on releasing an additional 2, mid range smartphones in 2016. No exact window for release was given, but a vague price range was provided, and John stated that these smartphones will be available for around $300 to $400. The BlackBerry Priv saw moderate success, but John Chen admitted that the phone was too high end for enterprise customers, which is probably what influenced the folks at BlackBerry to drop the price of the Priv $50 from $700 to $650. A very low quality image of a presentation has also been circling the web. 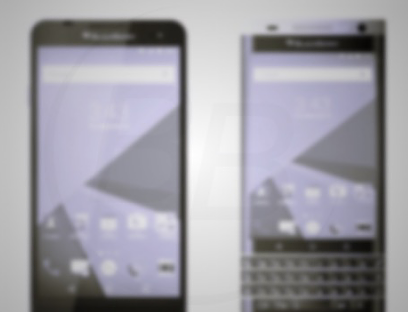 The photo depicts what seems to be the 2 new phones that BlackBerry are looking to launch later this year. Due to the quality of the image and the origins of the picture, the legitimacy cannot be verified, but it looks fairly real. What do you think? Is this a step in the right direction by BlackBerry? Would you purchase a mid tier BlackBerry smartphone that's running Android? leave your thoughts below! Feyfolken and Harrrry like this.